L.A. Noire, Rockstar's hit 1940s detective game, is coming to the PC. For about a year now I've been proclaiming to anyone who will listen, with what some might describe as rising levels of desperation, that Red Dead Redemption will be released for the PC. So you can imagine my surprise when Take-Two announced this morning that a big, popular, console-only Rockstar title is getting the mouse-and-keyboard treatment - and it's L.A. Noire. "L.A. Noire is a new type of game that makes players see through a detective's eyes in 1940s Los Angeles," said Rockstar co-founder Sam Houser. "Its unique blend of story, action and crime solving will be perfect to play on PC." The PC version of the game is being developed by Rockstar Leeds and will offer both gamepad and customizable keyboard controls, enhanced graphics and even 3D support. Minimum specs haven't been released but Rockstar said the game will run "on a wide range of PCs." I call this very good news. L.A. Noire may be imperfect but it's still a game I very much want to play and if Rockstar comes across with some meaningful improvements and enhancements for the platform, it'll absolutely be worth the wait. 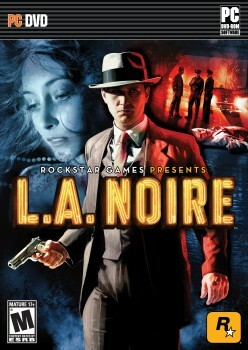 And we won't be waiting long, either: L.A. Noire for the PC is slated to come out this fall.